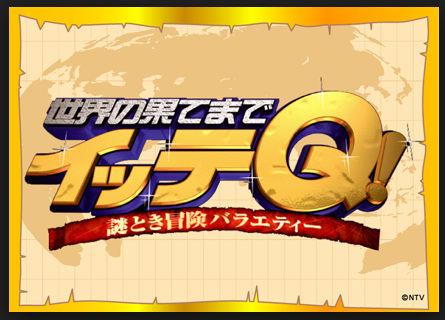 世界の果てまでイッテQ - Sekai no Hatemade Itte Q - roughly translates to "Going to the end of the world," has been one of the more popular shows in Japan since 2007. The show introduces viewers a series of off-beat events happening all over the world by having the celebrity participate in them. With lots of clever editing and abundance of popup captions with sound effects, it certainly makes these foreign events intriguing and fun. This clip is part of the "Best of" episode. The video has already been taken down, so please download the hard-subbed video from below. Thank you man, I had a great time watching this. Much appreciated, really. Thanks. Will there be a second part to this eventually? if you have the date of the episode you can search 世界の果てまでイッテQ with the date at the end on tudou, dailymotion, or youku. Thanks so much for more subs, Shibata. I'm pretty sure I've watched the full subtitled episode of that last clip, was it you who released it? It was forever ago, though. The chef was willing to even change some of the menu choices upon request. At Chicago restaurants we opted for station style and had some unique choices like a taco bar.